Vol. 3 contains 14 chapter and 415 pages. Please click here to download the list of contents. 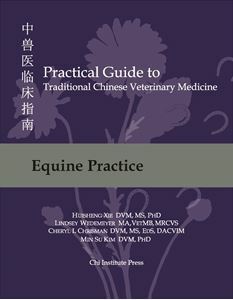 The successful practice of Traditional Chinese Veterinary Medicine (TCVM), as with any form of medicine, depends on having a clear understanding of both theoretical principles and practical techniques. The mindset required to understand TCVM is very different from that used in conventional medicine, and this can often make the transition to TCVM difficult for Western-trained practitioners. With the ever-increasing interest in TCVM, there is a broad selection of books both ancient and modern on Chinese medical theory, acupuncture, herbal medicine, Food Therapy, Tui-na and lifestyle/exercise modification. Busy practitioners rarely have the time to search several books for the clinically relevant information needed to design a comprehensive treatment protocol for each individual patient. It is also hard to find information on the TCVM treatment of species that have not traditionally been treated with TCVM. There is a Chinese proverb that states: “Reading ten thousand books is not as useful as traveling ten thousand miles.” In other words, experience is worth more than theory. 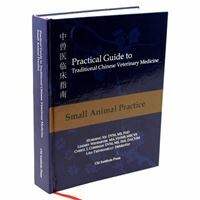 The aim of this Practical Guide to TCVM is to provide a single, comprehensive resource for veterinary acupuncture, Chinese herbal medicine, Food Therapy, Tui-na and lifestyle modification for treatment of the most common disorders seen in modern clinical practice. By succinctly conveying the knowledge of expert practitioners, this text can be used as a quick reference in clinical settings, so practitioners can easily establish a treatment plan and gain valuable clinical experience. This project began in February 2007 with an initial plan of 38 chapters in a single volume. Over time, more chapters were added, with 45 different authors now having contributed information on TCVM treatment of dogs, cats, horses, birds, snakes, camelids, elephants, dolphins and other species. Since the project began, the authors and editors have invested countless hours collating information, summarizing knowledge gained from years of clinical experience, and revising and clarifying the text to prepare it for publication. The completed text has become so large that the editors have decided to publish it in 4 volumes for easier reference and clinical use. This is the third of 4 volumes of Practical TCVM and describes the diagnosis and treatment of Equine Diseases. 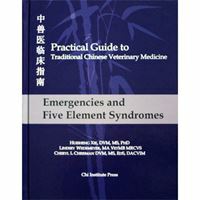 The first volume, Practical Guide to Traditional Chinese Veterinary Medicine-EMERGENCIES AND FIVE ELEMENT SYNDROMES and second volume, SMALL ANIMAL PRACTICE, were published in 2014. The fourth volume covers TCVM for exotic species (13 chapters) that will be scheduled to be published in 2016. Each chapter of these volumes presents the complete TCVM treatment of disorders commonly seen in clinical practice. In this volume, the most common TCVM Patterns for each conventional medical diagnosis in horses are discussed. For each Pattern, the etiology, clinical signs and treatment with acupuncture, Chinese herbal medicine, Tui-na, Food Therapy and lifestyle modification are described. Finally, each chapter includes case examples to illustrate the treatments that have been described, and provide information on the success of the treatment. It is the hope of the authors and editors that this format will provide a quick and easy guide to the TCVM treatment of conditions most commonly seen in veterinary clinical practice. We also hope that these volumes will make the clinical application of TCVM less overwhelming for the new TCVM practitioner. Furthermore, we hope that these books will inspire more veterinarians to practice TCVM and gain the confidence and wisdom that comes from personal experience with the effectiveness of this unique paradigm of medicine. We sincerely appreciate the team of chapter authors, Drs. Patricia Baley, Beth Carson, Leslie Griffith, Joyce Harman, Carole Holland, Carla Pasteur, Karen Spracklen, Cindy Wallis and Joan Winter for their knowledge and expertise. Without their contributions, this book would be impossible. Our special thanks go to Dr. Xiaoyuan Wei, Ms. Lee Warthen, BS and Ms. Autumn McCurdy who have illustrated and laid out the entire book. We would also like to thank the proofreaders Drs. Allison Faber, Kelly Fishman, Dan L. Hawkins, Cynthia Lankenau, Joanna L. Robson, Mary Foster Rodriguez and Robert Schaeffer, and Ms. Lee Warthen, BS. Your contributions help make this book a pleasure to read.